Computerdoc Melbourne – Open 7 days a week. We repair laptops and all makes of computers.Call us 0412392253 .Computer Repairs Melbourne will help you. We also build computers. We are located in the metro area of Melbourne. Computer Repairs Melbourne is our expertise and business. Computerdoc Melbourne is very different from any other repairer. “We keep you smiling and take that stress out of your life.” We make sure that you are completely happy and satisfied with your computer when it is returned to you. Our reputation and trust is posted by all the satisfied customers in Google reviews. Pc data repairs Melbourne.You need to have the most up to date virus protection we recommend Microsoft Security Essentials and Malwarebytes the perfect anti malware. All of our satisfied clients have been referred because of the excellent and trusted work that we provide. Our labour is fixed no surprises. Try the best service in Melbourne. Got a computer or program question? The Computer doctor will come to you. We have been providing fast, friendly and reliable IT support to individuals and businesses for the past 25 years. No question is too big or too small for the computer doctor. Computerdoc Melbourne appreciates that everyone has a different range of technical abilities so we will always spend the time to listen and understand the issue. We provide a high quality service with a difference and no matter what problems arise we can help you today. Need Emergency Response The Computer Doctor Open 7 days? 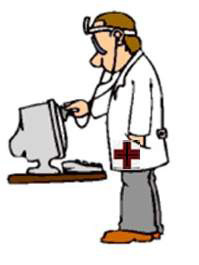 The Computer Doctor can take the stress out of your emergency situation and get your computers up and running with minimal disruption and cost. If you are in Melbourne, and computer repairs are your urgent requirement and you need help. We can help get you back online and take away that IT stress!